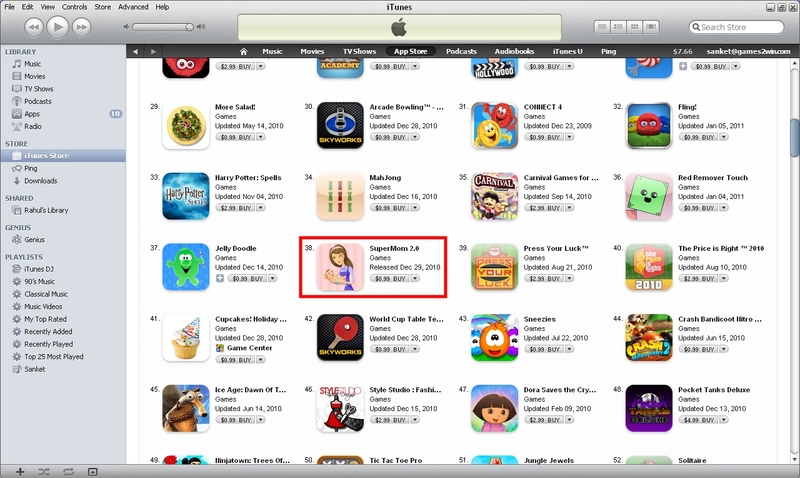 SuperMom 2.0, our first paid app on iTunes store, is quickly moving up the charts. 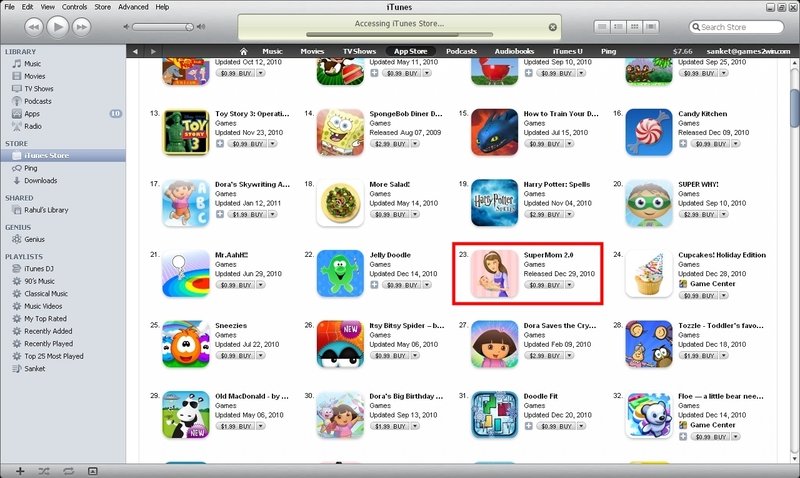 It is now ranked 23 in Top Paid Game Apps for Kids. The game also features on Top Paid Game Apps (Family category) list and is on 38th spot! Note: Click on the thumbnails for a bigger image. Try Super Mom (lite version) for free here!